Want a small glimpse into the mind of a food blogger? It goes something like this. Since it’s cookie week next week, I should really post a poll to let people vote for a cookie! *After some brainstorming and posting* Man. I hope people pick dulce de leche as a winner. That would rock because dulce de leche is delicious. *Check poll results late Friday night* Whoa. Dulce de leche is winning by a lot! That’ll be easy. I can just buy some dulce de leche and sandwich it between some nice soft butter cookies. *The food blog homemade devil appears on my shoulder* You know. You could make dulce de leche. How hard could it be? *Research research research* Boiling a can in water for 3 hours seems incredibly dangerous and not really HOMEMADE. I’ll spare you the rest of my thought process, but I think you see where this is going. I decided to make the stuff literally from scratch. Like starting with milk and sugar. 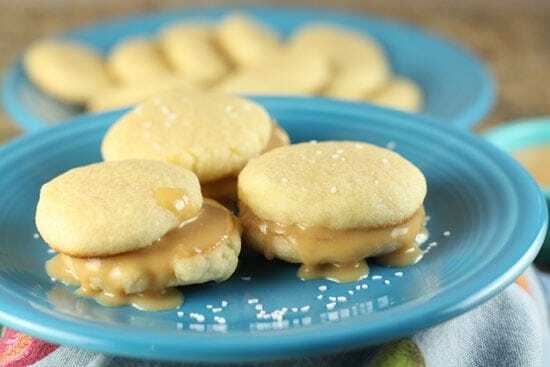 Homemade dulce de leche sandwiched between butter cookies. I don’t think I need to say how good these were. 1) If you’re making the dulce de leche, just add milk, sugar, and salt in pot and put over medium heat. Whisk until mixture starts to simmer. TUrn heat down to low and let simmer slowly for 3-5 hours until dulce de leche reaches the consistency you want. 2) Once the mixture reaches the consistency you’re looking for, take it off the heat and skim off any hard skin that’s formed on top. Then whisk the mixture until it’s smooth. I also recommend straining it through a fine strainer to remove any bits. 3) Let cool to room temperature and then store in the fridge for a few weeks (if it will last that long). 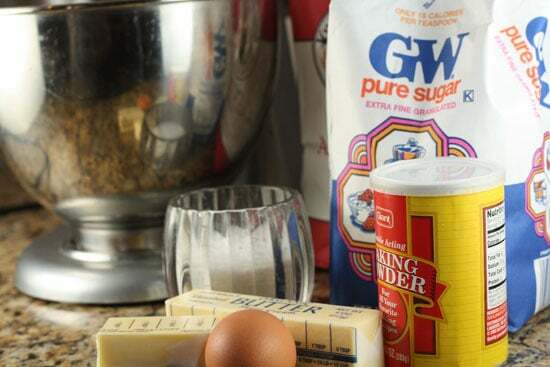 4) For the cookies, cream together the butter and sugar in a mixing bowl using either a stand mixer or with a hand mixer for a few minute suntil the mixture is light and fluffy, about 5 minutes. 5) Add egg and vanilla extract and mix to combine. 6) Add dry ingredients and mix until combined. Try not to over mix. 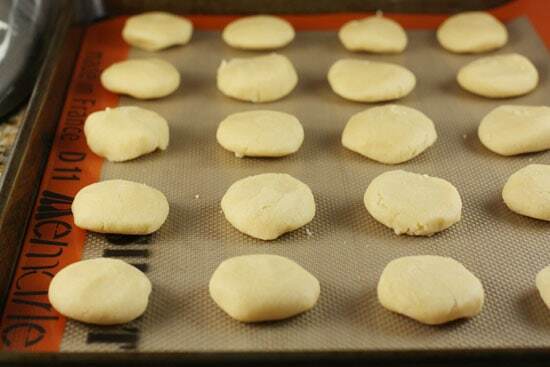 7) Form small balls with dough and place on a baking sheet lined with parchment paper or a silicon baking sheet. You should be able to fit 20 cookies per baking sheet. They don’t really expand as they cook. 8) Flatten the cookies slightly so you can make a sandwich out of them. 9) Bake at 350 degrees for 8 minutes. Remove and cool on a wire rack. 10) Sandwich some dulce de leche between the cookies and eat! You can also just dunk them in the dulce de leche! There’s a few recipes floating around that involve boiling a can of condensed milk in water for like 3 hours and that apparently makes very delicious dulce de leche. For some reason, I just couldn’t get myself to do it this way. For one, I’m pretty certain this isn’t how old Argentine grandmothers make dulce de leche. Second, I couldn’t get past the huge warning on the can that says it might explode if heated. The process of making dulce de leche was actually very easy assuming you have 3 to 5 hours of time. Basically, just combine the milk, sugar, and salt in a pot and bring it to a simmer while whisking. Once it’s simmering, turn the heat down to low and simmer very slowly for somewhere in the 3-5 hour range. Make sure it’s not simmering too rapidly. Slow is better here. It took me four hours to get to my final consistency which I’ll admit was a bit thinner than what you’d buy in the store. I probably could’ve simmered for even another 1/2 hour to hour. 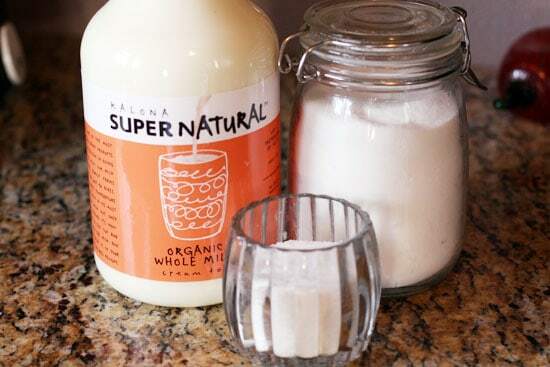 Once you’re ready to pull the sweet stuff off the heat, try to skim off any tough skin that’s formed on the top of the milk and then whisk it until it’s smooth. I would also recommend straining it through a fine strainer just to make sure it has no lumps. Let this cool at room temperature until it’s cooled down and then you can keep it in the fridge for a week or two without a problem. I knew that it would thicken a bit in the fridge, but it didn’t thicken quite as much as I was hoping for. This was my final consistency which tasted excellent but was a bit on the thin side. Not quite thick enough… but good. The consistency that you want to shoot for depends on what you want to do with it. 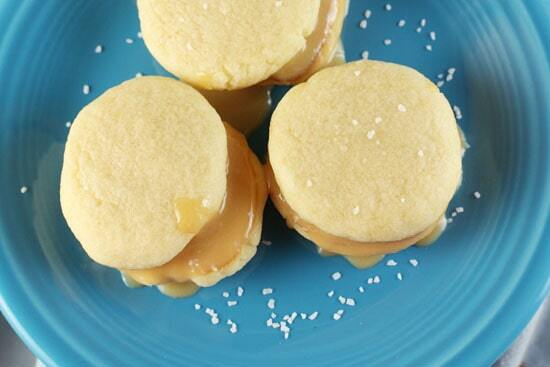 If you’re making alfajores, you probably want to make it thicker. If you’re putting it over oatmeal or ice cream (HIGHLY RECOMMENDED), then thinner is better. Neither is wrong. No matter what, it’s delicious as long as you don’t burn the milk which you won’t do because you’ll take your time right? Right. I just went with a pretty simple butter cookie for this recipe. Kinda close up, but you get the idea. Start by creaming together the butter and sugar in a mixer until light and fluffy. Add the egg and vanilla extract and mix together. Then add in the dry ingredients and mix until the dough is just combined. I ate some with a spoon. Don’t tell. Roll the dough into small balls and place each ball onto a baking sheet lined with parchment paper or a silicon sheet. You should be able to fit 20 cookies per sheet. These guys won’t expand much. They will basically cook in the shape you make them. Bake them at 350 degrees for about 8 minutes and then let them cool (ideally on a wire rack). Once they are cool, feel free to sandwich them with some dulce de leche. This is when I really realized that mine was a bit too runny. I recommend a small sprinkle of salt on the cookies. It makes the flavors in the cookie really pop. Salt is a good idea. In reality, it was easier for me to just dunk the cookie in the dulce de leche which was completely delicious. I found making the dulce de leche a really fun experience. It’s pretty slow food, but it was cool to see the milk transform into the decadent almost caramel like stuff. So. Is this too much? Anybody ever made dulce de leche before? In the can or otherwise? Dulce de leche is called manjar in Chile and is much, much thicker than your version, about the consistency of peanut butter but stickier. My son and his girlfriend make alfajores regularly to earn some money and I sell many of them at my office. Most of the Chilean alfajores are dipped in chocolate but there are other similar Chilean pastries that are dusted in confectioner's sugar too. I love alfajores and developed an obsession with them when I was living in Buenos Aires. The recipe I use for the cookie uses cornstarch in place of flour to make the cookie dough stiff and the finished cookie crumbly. It also tastes delicious and is very authentic to the ones I ate in Argentina. I've had success boiling the can of condensed milk. The key is to check the water level consistently and make sure the can is always covered with water. wow. Interesting idea with cornstarch. I'll have to try that out. THanks for the link Lindsay! I bet you could put the ingredients in a slow cooker and let it go overnight,then it would be ready in the morning without all the constant monitoring! I reckon that would work just fine actually. I didn't really monitor mine while it was simmering. I didn't stir it at all for 3 hours. Seriously impressive. Judy might be on to something there! Transfer to a warm slow cooker after simmering? How was that milk? I've only had their yogurt. Very good. They have really high quality products. I have been meaning to make cajeta (mexican goats milk caramel) and this is a great guide! Hmm.. Interesting. Ok. Glad I didn't try the can situation. Nick, these look amazing! I will try them out! All of your cookie recipes have been amazing! Do you think any of these can be made without eggs? Or can eggs be replaced by something else? My boyfriend's mom doesn't eat eggs or things with eggs, but I'd love to whip up a batch of one of your cookie recipes for them over the holidays. Thanks! Yea… replacing eggs in baking is always tricky. But not impossible. Check out this page which lists some great alternatives. They also make some egg substitutes called Ener-G which I've heard work okay. Personally, I've substituted eggs with apple sauce and tofu before with pretty decent results. I want to make these without eggs as well! What did you use as your substitute and how did they turn out? Were they light/powdery in texture? Boiling a can of condensed milk to make dulce de leche is NASTY! I made that mistake once and I can't get that taste out of my head. However I do cheat and buy it premade in a jar. Yours looks yummy! I'd love to make homemade dulce de leche. Looks so good! Great recipe. Hey Nick! I'm so pleased you made alfajores! I grew up on these things! So, I have decided to host a champagne and dessert party for a friend–and am going to make all of your week of cookies treats! Do you think these goodies will freeze well? I need to spread out my treat making. It's such a joy to visit your blog. Hope you and Betsy are well out in CO! I'm not sure I would freeze them after baking them, but you could definitely freeze the dough for the gingersnaps, the dough for nutella surprise and the dough for these butter cookies before. Can you bake the cookies ahead of time and freeze them? And then defrost them and put the dulce inside on another day? Yea… I think that'd work just fine! It might not be AS good as if they are freshly baked, but it should work okay in a pinch. And each year when I attempt this, my dough (made with maicena, or cornstarch) becomes very difficult to roll out. The dough sticks to the rolling pin. Any clues? Thanks. Lots of flour. Anytime you're working with a sticky dough, don't be stingy with the flour. I just got back from Argentina and alfajores are FREAKING AMAZING!!! Que barbaro!! I brought a few boxes but they disappeared almost instantly. I think I'm gonna try this out. Fortunately, I'm in Ecuador and I get buy delicious homemade dulce de leche (aka manjar as someone else mentioned) for very cheap and save myself all that time. 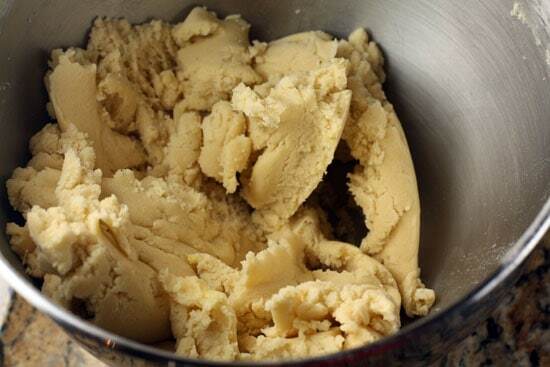 So really its just a matter of makin some butter cookies… so definitely gonna get on that. Querés que comparte con vos? Che, entendés mi español argentino? Jaja. Chao! OMG! Alfajores and dolce de leite (in Portuguese) – a dream. It's simply delicious. 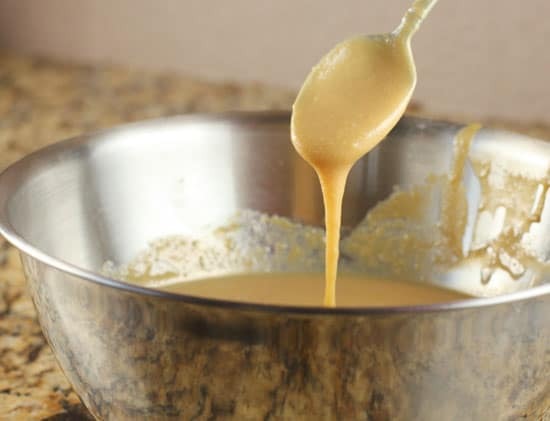 Boiling a can of condensed milk in water is a quite easy and simple way to make dulce de leche and the result is great. My husband’s family is argentinean and ducle de leche/alfajores are the latest in a long line of things i have learned to make from scratch, sine we live in NZ where latin ingredients aren’t cheap or readily available. Found your site because i’m trying to perfect the cookie recipe. All the versions i have tried (heavy on the cornflour) have been pronounced too crumbly – so fingers crossed for this one. Anyway, i have cracked dulce! Use a tin of condensed milk, but scrape it into a jar that fits into your slow cooker stading upright – short and squat is what you’re going for. Ideally a mason jar with a sealer lid, but commercial “pop tops” work since they will reseal, eg a small relish jar. Put the jar(s) in the slow cooker, pour in boiling water to the “shoulder” of the jar, ie just below the lid. 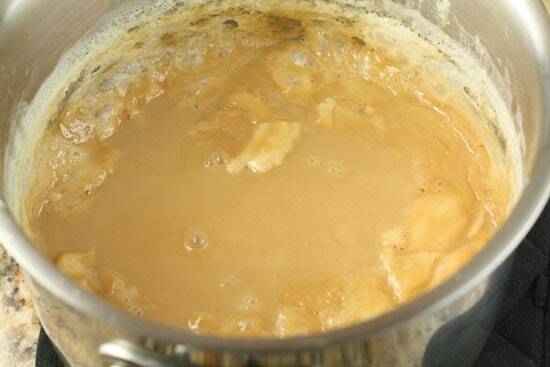 Turn cooker on high and leave till the colour of the caramel is right- between 4 and 8 hours. Takes away the guesswork, since you can see the colour, and the nasty tin taste too. Hey Katie, thanks for the comment and the tip on the dulce. That sounds like a great way to do it!